With 28 countries and a combined population of around 512 million people, the European Union is something of a prized market — and political battleground — for the world’s largest energy exporters, particularly when it comes to natural gas. Russia has long been the dominant source and supplier of natural gas to Europe’s mass market but the U.S. is looking to challenge Russia by stepping up its imports of U.S. liquefied natural gas (LNG) — gas which is super-cooled to liquid form — making it easier and safer to store and transport. The U.S. became a net natural gas exporter in 2017 for the first time in almost 60 years, according to the country’s Energy Information Administration (EIA). It saw exports of its LNG rise 58 percent through the first half of 2018, compared with the same period in 2017. In fact, while U.S. LNG exports have continued to grow in 2018, U.S. natural gas pipeline import and export volumes have either remained relatively flat or declined from 2017 levels, the EIA noted. U.S. exporters looking to Europe have a big obstacle in the region, however, and that’s Russia. Russia remains the largest supplier of natural gas to the EU in 2018, according to the Commission’s latest data on EU imports of energy products in October. The other main suppliers are Norway and, at a lower level, Algeria and Qatar. Showing the extent of much of the EU’s reliance on Russian gas, the Commission noted that 11 member states (Bulgaria, Czech Republic, Estonia, Latvia, Hungary, Austria, Poland, Romania, Slovenia, Slovakia and Finland) imported more than 75 percent of total national imports of natural gas from Russia in 2018, largely due to their proximity to the country. Gas from Russia is supplied to the continent by state-owned gas company Gazprom via pipelines, giving it an advantage in terms of cheaper transportation costs and established infrastructure and supply. It has a number of major pipelines in operation, or under construction, with European energy and infrastructure companies. Italy and Germany are the largest importers of Russian gas in the European Union, and the two countries together represent almost half of the total EU gas imports from the Kremlin. Germany can count on direct supplies from Russia thanks to Nord Stream, an offshore natural gas pipeline that, through the Baltic sea, brings Russian gas to Germany and all over Europe. The Nord Stream is the longest sub-sea pipeline in the world and it is extremely important for both Moscow and Berlin since it avoids passing through the Baltic Republics, Belarus and Polonia, cutting down costs and avoiding any political interference. Inaugurated in 2011, the Nord Stream is the second pipeline arriving in Germany, adding to the 1997 Yamal – Europe pipeline, which was already connecting natural gas fields in Siberia with the country in CenterEurope, passing through a Belarus-Polish corridor. Another one of Russia’s main natural gas export pipelines is the Uregoy – Pomary– Uzhorod pipeline, which passes through Ukraine and from there is transported to Central and Western European countries. In Southern Europe, the Blue Stream pipeline carries Russian gas into Turkey and it was jointly built by Gazprom and the Italian Eni in the effort of creating new delivery routes to the Anatolian peninsula that avoided third countries. The Turk Stream is another pipeline that directly connects the Russian Federation to Turkey through the Black Sea. It replaces the South Stream, a project that was ultimately cancelled in 2014 after being announced seven years before by Eni’s chief executive officer at the time, Paolo Scaroni, and Gazprom deputy chairman, Alexander Medvedev, in Rome. The pipeline was supposed to go through the Black Sea and reach Bulgaria, where it would have divided into two different lines, one passing through Serbia and Hungary to finally enter Austria and Slovenia, and another one getting to Italy by Greece. In 2014, following Russia’s annexation of Crimea, the project suffered from geopolitical turbulence as the European Parliament approved a resolution that opposed it and pressured the Union to look for alternative gas supplies. Eventually, Russian president Vladimir Putin cancelled the South Stream blaming Western sanctions and replaced it with a project that rather established a direct landfall in Turkey, avoiding the Union territories and making Gazprom the one company taking over all the shares. For example this year Italy has become the second largest buyer of Russian natural gas, outdoing Turkey. Rome and Moscow historically have had close commercial ties within the energy sector, being Eni, an oil and gas Italian company and one of the largest multinationals in the sector, the first Western business to become a commercial partner to the Kremlin. This year Italy has become Russia’s second market, buying 18,3 billion cubic meters gas, against the 17,9 billion cubic meters acquired by Ankara. According to Bloomberg, Germany remains far in its first place, with 42,7 billion cubic meters gas purchased from Siberian gas fields. Russian gas is a precious resource for Italy since it provides more than one-third of its total domestic demand. Natural gas originated in Russia reaches Italy mainly through the Trans Austria Gas (TAG) pipeline, a 380 kilometers duct hold at 89% by Eni. At this moment, 40% of national requirements are met by Gazprom, the Russian business that is also a major oil and gas companies worldwide, as well as being state-owned at 50%. The rest of Italian energy needs are mainly covered at 25% by Algeria and at 6% by Libya, while the country imports from Qatar the majority of liquefied natural gas which is later processed at the regasification plants. The Italy – Russia energy partnership has caused friction inside the EU, which has tried over the years to cut the ties of dependence from Russia when it comes to gas and energetic supplies. Other than the restraints from Brussels, Rome has also to deal with the competition from Berlin. Germany and Russia are actually working on the expansion of the Nord Stream creating Nord Stream 2, two additional pipelines that would bypass traditional transit countries, especially Ukraine, and have more gas arriving directly into Germany. This would assure the Central European country almost a monopoly over the Russian gas that is then to be spread all over Europe, which means higher prices for Italy. This does nothing but highlights the challenges of the diversification strategy. 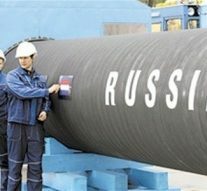 On the one hand, the Italian government is trying to rely more on the Trans Adriatic Pipeline (TAP) which brings natural gas from Azerbaijan and has started to buy more oil coming from the United States, but on the other hand, it is just not possible to stop buying so much Russian gas. The main reason is quite simple: Russian gas is cheaper. Italy could purchase more liquefied gas, a resource controlled by Qatar, Australia, Indonesia and the United States in which Russia ranks lower in terms of extraction, but this does not seem a sustainable option either, since regasification plants have huge costs and at the moment Italy can only count on three facilities on its soil. In the end, gas deposits in the North are shrinking and the ones in North Africa cannot be trustworthy because of political and security instability, while Russia remains a solid and reliable supplier.